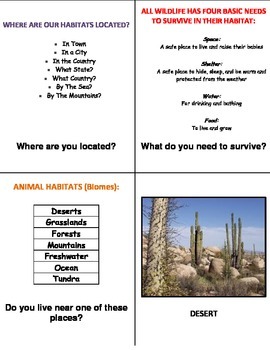 A set of cards you can laminate and place on a book ring to help teach your group about habitats. 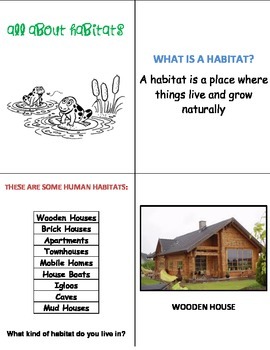 Questions on cards will help kids relate habitats to their own community. 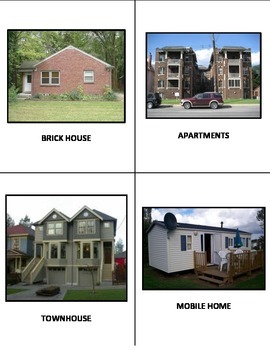 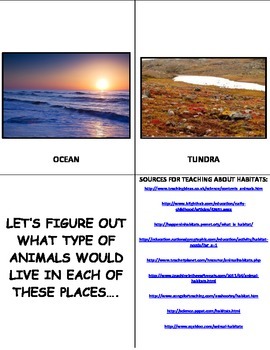 Makes for a great social studies or science project.